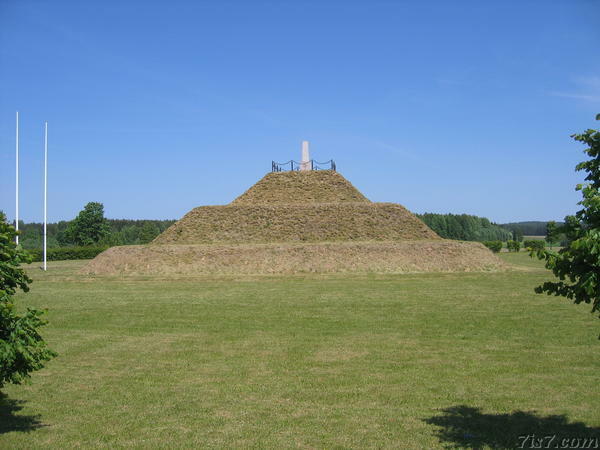 This pyramidal shaped structure, that seems somewhat out of place in the Estonian countryside, is actually a memorial to the battle of Paju, which took place on January 31st, 1919. The battle, won by Estonian and Finnish forces during the Estonian war for Independence, was a decisive battle to take control of Valga and the Valga railway junction. The cornerstone of the memorial was laid in 1938, but was not completed due to the Soviet occupation. The memorial was finally completed for the 75th anniversary of the battle of Paju in 1994. Location: 57°49'39"N 26°6'49"E on: Google Maps, OpenStreetMap, Maa Amet.